Who doesn't love love? Who doesn't love food?! That's why combining the two made for the perfect backdrop to this year's Valentine's Day celebrations. 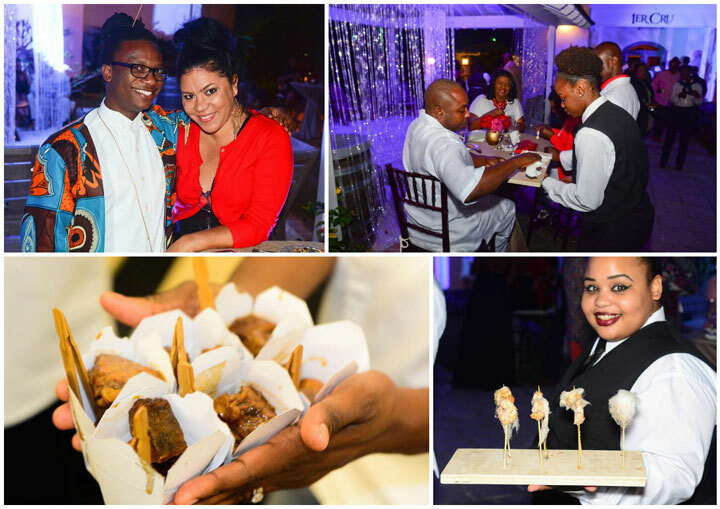 Local food TV show A Mouth Full used the day of love to kick off Amor Alimentos, a series of foodie events which will help Bahamians to indulge in their love of food! The first installment Amor Alimentos: Indulge Your Food Love, was held at the 1 ER CRU Courtyard at Bristol Wines and Spirits on Valentine's Day. 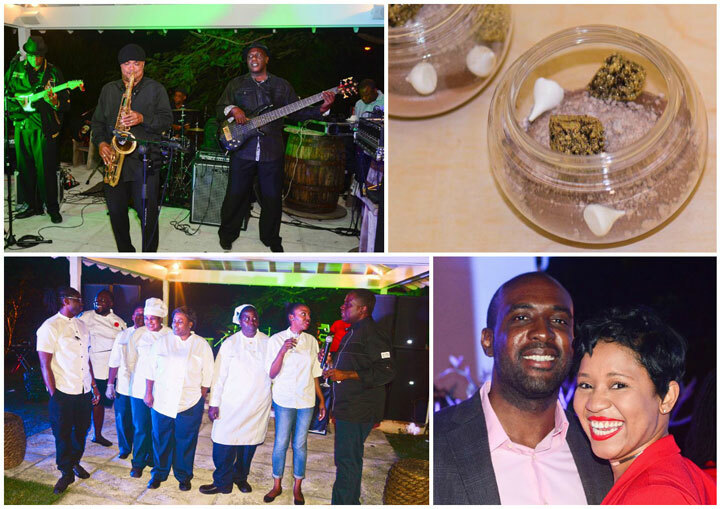 Foodie lovers from all over the island were treated to beautiful decor, sweet music by DJ Pressure and the Tingum Dem Band, an international cheese board and live carving station and food that had the guests cheering. Amor Alimentos private chef, Chef Wayne Moncur whipped up a tapas style tasting menu that left tongues wagging and gave attendees, "major food-gasms," according to one foodie who gushed at the taste of each dish. The guests feasted on chicken burrito with smoked mayonnaise, shrimp cotton candy, 6-hour braised beef short ribs with mushroom and thyme risotto balls, conch mac and cheese and for dessert, a hearty bowl of chocolate textures. As this event was all about the food, the dishes were brought out one by one, delicately described and explained and served to the excited foodies. Each receiving rave reviews at the end! 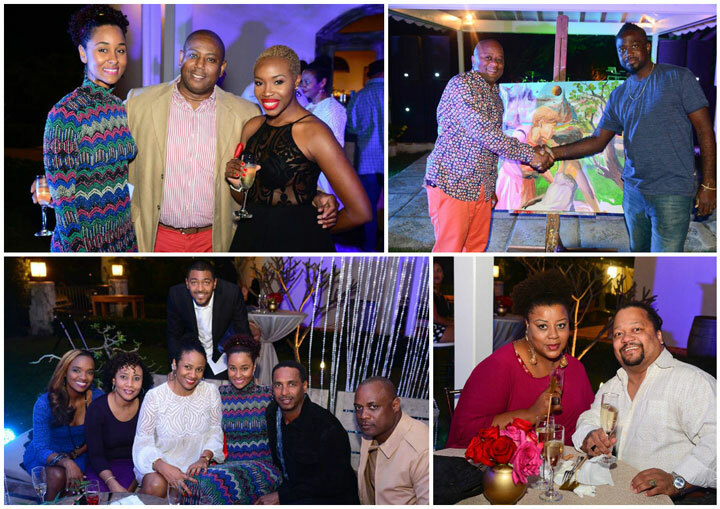 Bahamian artist Allan Wallace was also on hand and painted a beautiful portrait. The piece was raffled off with proceeds going to the Sister sister Breast Cancer Support Group. Amor Alimentos, the foodie event series is just getting started so look out for new dates so you too can be treated to some delicious fun!